For almost 50 years, Parker Safety Razor has been the gold standard for fine grooming supplies. 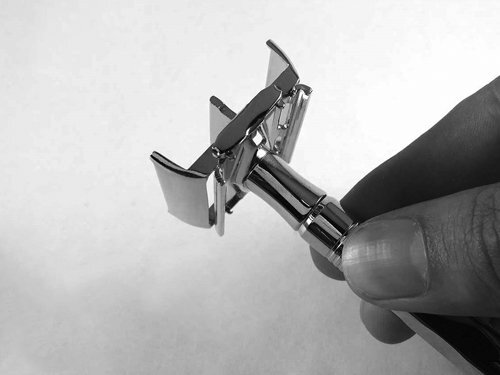 Parker Safety Razor products are hand crafted and undergo extensive engineering and quality testing. A family-owned business, Parker Safety Razor produces products that are a reflection of our commitment to excellence and value. We use and enjoy our products just like our customers do, so we have pride in every product that is produced. This is our guarantee of quality to you. Our products are made with the finest materials available. We select quality retailers that reflect our high standards of service. We innovate and develop both classic and state of the art shaving products. All products undergo extensive engineering and quality testing. "I make no secret of my love for the Merkur Progress* adjustable safety razor. I’ve said 'you’ll have to pry it from my cold, dead fingers.' That opinion officially comes to an end with the launch of the Parker Variant adjustable safety razor, my new 'dead fingers' DE razor."